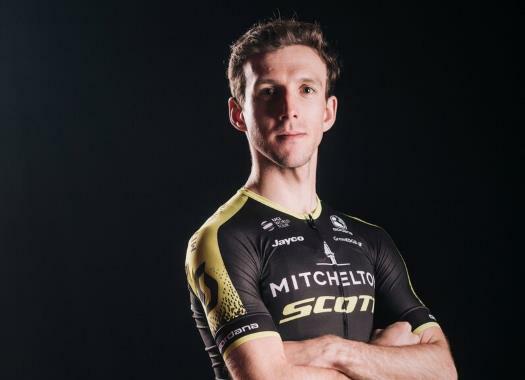 Simon Yates of Mitchelton-Scott survived yet another day in the Pink Jersey but admitted that it had been a rather difficult day. The Briton finished safely in the peloton and was never really in trouble throughout the 12th stage, with finish on the famous Formula 1 circuit of Imola. "It wasn't so easy," he told the RAI in his post-race interview. "I think a lot of guys were underestimating the final there. A very difficult final. I'm not even sure who won. It was a difficult day." The weather had a big effect on Thursday's stage with heavy rain slamming into the riders and temporarily causing splits in the peloton. "I don't think anybody likes to ride in the way but I don't mind it," he said. "I feel comfortable with my equipment so it's good." In the General Classification, Yates maintains his gap of 47 seconds with second-placed Tom Dumoulin. Thibaut Pinot follows at 1'04".